Bang and Olufsen has been in the market since 1925 when the company was founded by Peter Bang and Svend Olufsen. The brand has been the pioneers in various products from time to time. The first headphones Bang and Olufsen introduced in 1978 was called U70 and forty years later they are leaders in the niche segment of headphones. They have collaborations with various computer, telecom and automobile brands to use their technology to enhance the end users audio experience across platforms. I have always been a great fan of earphones and headphones. I have bought so many and my luck is like if I win any twitter or facebook contest, the prize from that will be of headphones. Bang and Olufsen is one brand that is still not in my kitty but I would love to have the Active Noise Cancellation ones if given an opportunity. Bang and Olufsen introduced H2 designer headphones in 2014 which are designed by Jakob Wagner. I got the review device to test and write about and as soon as I saw the device, I immediately liked it a lot. From the packaging to the end product, you get what you paid for. This one is priced at around R3500 in South African market. BeoPlay H2 headphones are available in 5 colors namely Deep Red, Shaded Rosa, Carbon Blue, Silver Cloud and Feldspar Green. I was reviewing the Deep Red colored headphones and the packaging contains the headsets along with a cable with three-button remote and microphone. The buttons can be used to play and pause the track as well as to receive and reject the phone calls on certain iOS devices. The button can increase and decrease the volume also of the music being played. Bang and Olufsen H2 weights only 155 grams and sits tight on your ears. They feel comfortable due to its design of the earcups made of genuine lambskin. The left and right is marked on the mesh design of the earcups.The length of the headphones can be adjusted using the push in and out design to sit on your ears. As H2 are On-ear headphones so it becomes a necessity to adjust them properly so as to get a nice noise isolation experience. The headphones can be rotated to sit around your neck while not in use giving a necklace kind of style with earcups resting on your chest. The other side of earcups is made of rugged textile which is also used to cover the top portions of headphones. This is the thing that brings color to these headphones. Though the cloth kind covers will be durable but are susceptible to dust, oil and water. They can easily get dirty if not taken care or are touched while eating etc. It's this design that brings all the pleasure of buying and spending some extra money on H2. I was thinking that the packaging will also contain some kind of cloth bag to carry headphones around but nothing was included in the review unit. The sound quality is produced using the 40mm neodymium magnets which give nice output and pleasure to the ears. Even at top of the volume option on my iPod Shuffle, there was no noise on the headphones. It performed nicely even at low volumes and audio was crisp and clear. The bass is not as much as Beats Solo HD produces but sufficient to give a nice surround sound effect. As they sit comfortable and tightly on you head and ears, they give immersive audio experience which takes you places in your music world. In the end, I could not find much difference in audio quality from the cheaper Sennheiser headphone which are one fifth of the price and Bang and Olufsen H2. Though there is significant difference in the style and packaging of the product. There is definitely a market for audiophiles who wants to show what they are wearing around their necks and ears. Bang and Olufsen H2 will take you to an amazing new level of respect among your peers for not compromising on money to get great looking niche headphones. I would love to use these H2 as my day to day headphones and only thing I would love to get from Bang and Olufsen is Android cable included in the packaging and a canvas bag to carry these headphones if I am unable to wear them around my neck. Acer Africa sent me a LED projector and when I received the bag from the courier guy, I thought they forgot to send the same but as I opened the small pack I really felt grateful for what the technology has to offer to the world. Never had I have seen the projector so small other than those which are built in tablets and handy-cams. I immediately fell in love with the brand and started using the projector right away. The first thing I loved about is the size and the projected screen quality the device is able to produce. It hardly weights 300 grams and is shipped with a nice soft cloth leather mixed Acer cover to accommodate and protect the LED projector. The same can be carried around easily in your bag pack or even in your tablet bags. This makes it very easy for professionals and other users to showcase their work in front of many people in a single go. The box contains two cables to connect the Acer projector to an Android phone/tablet (MHL Cable - HDMI to micro-USB) and other cable is HDMI to HDMI one. The box also contains the AC to DC power adapter to charge the built-in 3980mAh battery. The great thing about this projector is that you can charge your smartphone too in case required. The battery is enough to stretch through a normal English movie of 95-110 minutes in full charge in ECO mode. The MHL cable gives you the possibility to keep it really small as you can just download your presentations in your android or windows mobile and connect your LED projector to showcase your work to your clients anywhere anytime of the day. I loved watching Youtube video's of my favourite TV serials and some of my clicks from the recent holidays on the big wall of my home. I simply attached the Acer projector with the small mobile camera stand and projected on the wall. It was good to setup like that because then the projector is stable and you can simply sit on you bed and watch your content. Specification document says that the Acer LED projector Lamp will last for 20000 hours in Normal mode and increases by 50% to 30000 hours in Economy mode which means you can watch unlimited content for the next 3.4 years nonstop. It is amazing value at the price range of R7000-7500 from various online stores in South Africa. The brightness that Acer LED Projector is able to produce is 200 lumens which is enough in a dark room or when viewing in the night but your heart wants more brightness when the room is slightly lit and you are projecting bigger than the resolution capability of 1280X800. The audio capability of the Acer LED projector is 2W stereo output which is good if you are watching in a small room. You can increase or decrease the volumes using the touch panel buttons on the top of the projector. The fan noise is 20db which doen't interrupt the fun you are having watching movies at this LED projector. The Acer LED projector can be directly charged as well as play using the AC to DC power adapter. Once it's fully charged it easily lasts for about 110-120 minutes of video audio output. The USB port provided in the rear portion of C205 can also charge your smartphone in case of emergency. Overall this is awesome buy if you want something handy in the LED projectors and the market has opened up for this kind of small projectors as LG and other companies have also launched the similar kind of products. But I loved Acer Africa's C205 LED Projector and would love to buy it myself. Thanks to Acer for sending the product for review. Looking forward to review some more cool gadgets in the future. “Design Premiere 2016”, the annual Design Degree exhibition, showcases the creative talent of 21 graduating students from the Department of Industrial Design (DoID), School of Planning and Architecture, New Delhi. The exhibition showcases innovative products in domains ranging from Social Innovation, Safety+Mobility, Health+Wellness, Education, Households, Lifestyle, Experience Design among others. This five day exhibition will be held from the 27th to 31st of May at the Visual Arts Gallery, India Habitat Centre, New Delhi. 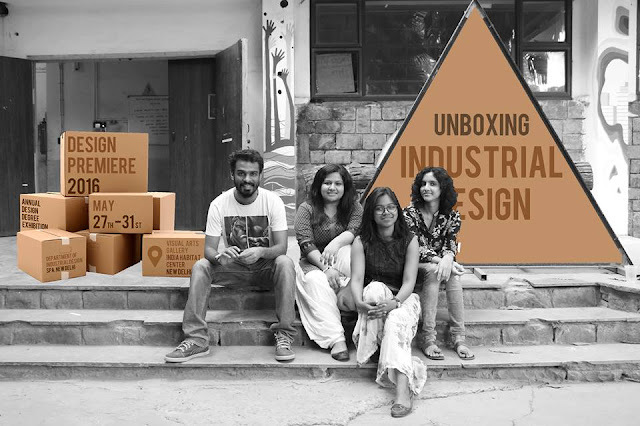 In these Final Year Degree Projects (Master of Design Course), conducted over a span of 16 weeks, students have undertaken projects (some of which are sponsored by industries) to demonstrate their abilities as Industrial Designers before they step out as professionals in the Design Industry. With study, research, analysis, concept generation and subsequent development of solutions, they have carried the projects into completion as prototypes that can be further developed for production. Retaining the academic perspective and the objectives set by the design brief, they have designed products and systems that are sustainable and an answer to the growing needs of our cultural context. As students venture from academia into the “real” world, these projects stand on the cusp; they intended to push the boundaries of design, often questioning standard practices, rethinking and innovating products and systems that address critical issues we encounter on a day to day basis as well as those that improve quality of life. Government of India has declared this decade the ‘Decade of Innovations, Driven by Design’. Thus this public exhibition, held annually in prominent locations, is an attempt for academia to connect with the rest of the city, the general public, businesses, industry to spread design awareness and create design related dialogue and discourse. Designed for India, these product celebrate the diversity of cultures, habits, lifestyles that give India its vibrancy. Through design thinking, innovation and a human-centeric approach, these projects demonstrate how good design can be the key differentiator for a business while being culturally, socially and environmentally appropriate. 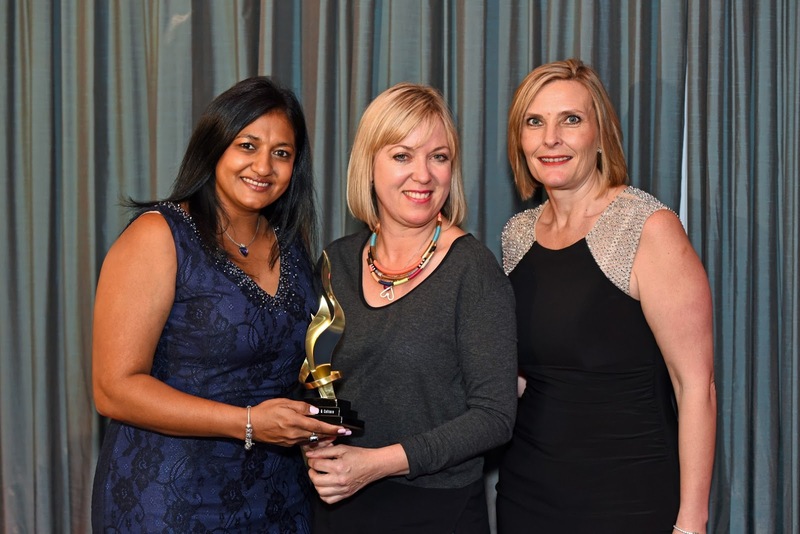 Tsogo Sun and Strategic Public Relations have won the Entertainment & Culture category of the global PR awards, the African Excellence Awards 2015, for their ‘The Amazing Slots Race’ activation, which was conceptualised to launch the group’s third annual Slots Factor tournament. The African Excellence Awards are hosted by Communications Director, a magazine for corporate communications and public relations, which is distributed worldwide. The Awards are open to public relations, communications, brand building, and reputation management professionals whose work has displayed exceptional talent and ability. The 30-strong jury of leading communications professionals evaluated the applications on criteria that included strategy, innovation and creativity, implementation, and results and efficiency, where the Jury considered the results of the projects in relation to the stated targets, as well as the resources used to achieve the results. Tsogo Sun’s annual Slots Factor tournament was held for the third time in 2015, and an innovative approach to its launch and awareness campaign was required. Strategic Public Relations, a small-to-medium sized Johannesburg-based agency which has consulted to Tsogo Sun for over nine years, creatively conceptualised the Amazing Slots Race as a means to position gaming as a fun form of entertainment while also attracting influential media, celebrities and bloggers to encourage the social conversation and simultaneously showcase aspects of Tsogo Sun’s refurbished Silverstar property, where the Amazing Slots Race took place. The day started at Montecasino where the guests were divided into their teams and driven to Silverstar in Amazing Slots Race branded vehicles. At Silverstar, the teams visited four pit stops, two roadblocks, and a detour, completing entertaining challenges along the route. Each challenge incorporated an experience at Silverstar, highlighting different aspects of the entertainment destination and throughout the race the contestants were required to use their social media platforms to document their achievements and progress. For the final challenge, each team had to earn a R100 Slots Factor note to use as a buy-in for a special celebrity Slots Factor tournament, where they played in heats, gaining first-hand experience of the excitement and entertainment value of the Slots Factor tournament. The results spelled success. #SlotsFactor trended in number one place three times during the launch. Online articles were engaging, positive and visual, with participants sharing their experiences on social media platforms at each challenge, with multiple retweets by their followers. A total of 4 330 tweets and 2 791 735 impressions were generated. The extensive publicity resulted in an increase in Slots Factor buy-ins across the country, and an eventual increase in the tournament prize pool as a result of the heightened participation levels at Tsogo Sun’s 14 casinos. Tsogo Sun has a portfolio of over 90 hotels and 14 casino and entertainment destinations throughout South Africa, Africa and the Seychelles. For full details on Tsogo Sun Roulette Masters 2015, visit tsogosun.com, follow on Twitter @TsogoSun or like on Facebook.com/TsogoSun. I thank the brands for giving me a chance to be the part of one of the teams during Amazing Slots and that event has been the best I ever attended. Everything was superbly planned and everyone went home happy winning great prizes including stays at hotels and gift vouchers. Code for Cape Town, a not for profit organisation that teaches high school girls to code, has started a collaboration with Havas Boondoggle to help their learners to develop technological solutions to social issues in their communities. 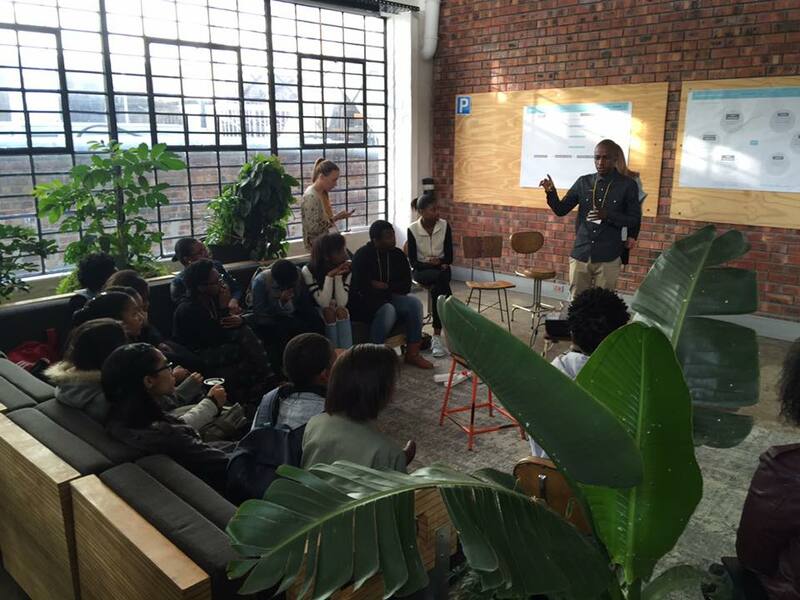 In a series of service design workshops, Boondoggle has helped the girls to develop human-centred concepts for mobile and web apps to alleviate issues in anything from delivery of medicine to fixing the education system. 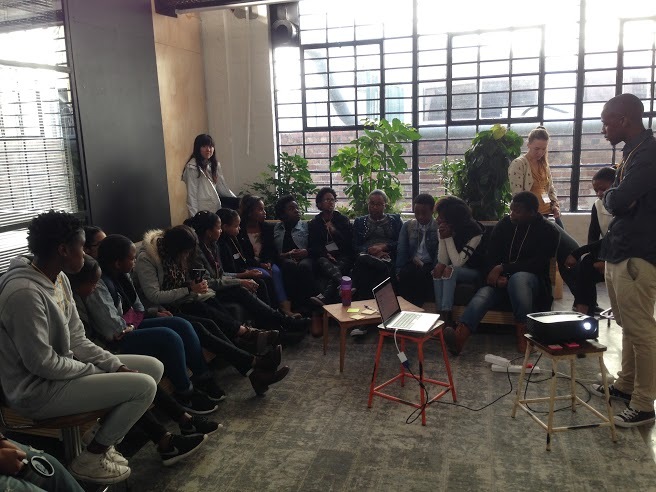 On Saturday 28 May, the girls will start prototyping their ideas for production in June. Boondoggle will use Facebook Live to engage a global audience of viewers in the final workshop. Code4CT director Emma Dicks said: “When young people are given a platform to share their ideas for change we see incredibly exciting things start to happen. Through businesses engaging with education organisations we are able to offer young people experiences that prepare them to have great impact in our country”. For anyone interested in participating in the Facebook Live event, please search for “Havas Boondoggle” on Facebook and click on the Live link on their page. Looking for something to do with the kids this weekend? Look no further!!! With the economy at all time low, Silverstar Casino is helping easy the burden with free entertainment for the kids this weekend. Please take note of the kiddies activations taking place on the Square this weekend. They sharpen the blades that have become blunt and check if the boots need any repairs or replacing. They also control the time allocation of the skaters for the rotation of the next group. No artistic skills are needed. We provide all the equipment from child friendly, water based paint, paint brushes, expert advice if needed. During the painting process we teach our visitors painting techniques without inhibiting creativity. Our activity is unique, fun filled and very affordable. The price of the item range from R45-00 and is dependant on the size! 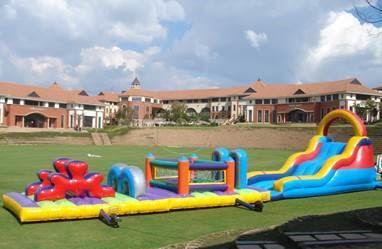 Silverstar Casino pride themselves in providing a special creative, fun, relaxing experience which makes for lasting memories!!! Enjoy and have fun this weekend. You have seen them on your screens and marveled at their talents as they have brought us to tears, kept us in suspense and made us laugh till our tummies hurt. You have let them into your homes every day and shared time with your family whilst giving them the privilege of entertaining you. Zee TV Africa in association with Roshan Singh Productions is now giving you the chance to meet your favourite Zee TV stars in person at the ‘Zee Stars Dinner Evening Meet and Greet’ which will take place on the 10th of June 2016, 8pm at the Durban City Hall. How often do we get the chance to meet our on screen idols? The Zee Stars are sought after for appearances all over the world and we are lucky enough to have them grace our African shores this June to specially meet with their beloved fans and Zee TV viewers. Zee TV Africa is delighted in presenting this unique experience to our precious viewers. Our stars have always been more than delighted to engage with their Africa fan base and this year it will be bigger and better than ever before. 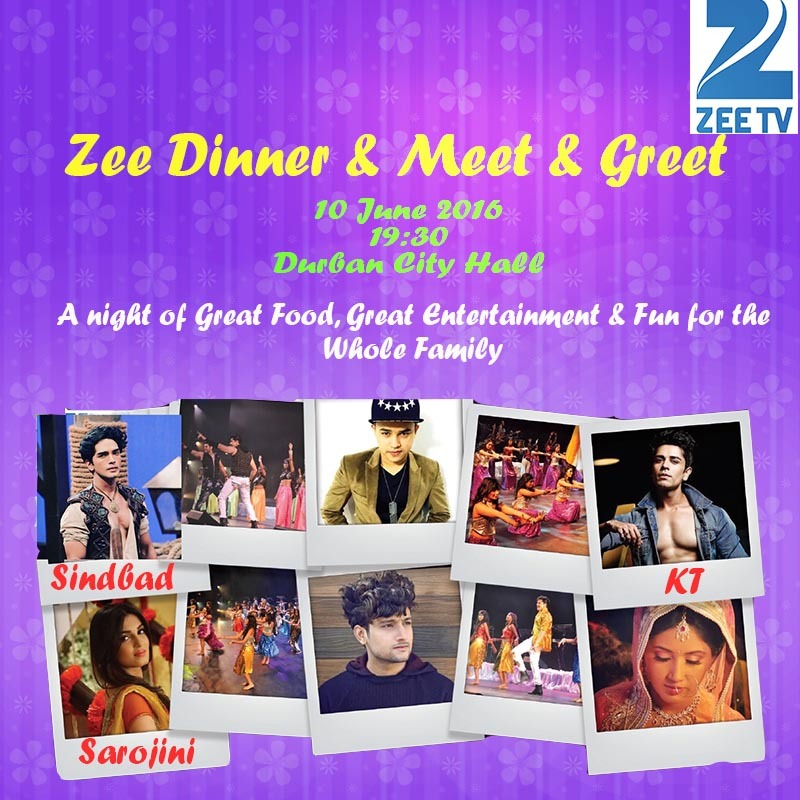 The Zee TV Stars, Shiny Doshi (Sarojini of Zee TV), Harsh Rajput (Sinbad of Zee TV) and Piyush Sahdev (KT of Zee TV from the show ‘Sapne Suhane Ladakpan Ke’), will give their fans a once in a lifetime opportunity to pick their brains and get to know them on a personal level as oppose to their persona’s portrayed on screen. If there was ever a time to find out anything and everything about our Zee Stars, this would be the perfect opportunity. What’s the first thing they do when they wake up in the morning? Have they ever played a prank on their friends before? What was it like being on a TV set for the first time? Our Zee Stars are anticipating answering their fan questions and giving them an in depth experience that no other fan base has ever received before. The evening will also be filled with good food, and great entertainment for the entire family to enjoy not forgetting our local flavour with South Africa’s Bollywood Showband and the Bombay Dream Dancers. “Having our very own stars in Africa is a huge deal for us and will be something that our viewers can definitely look forward to. The entire Zee TV Africa team is thrilled to host this lovely affair in hopes to bring our viewers closer to the actors and actresses that they love. This is going to be a night to remember” – says Zee TV Africa CEO, Harish Goyal. There are only two words to describe the feeling of drinking an ice cold, crisp lemon and lime Sprite – ultimate refreshment, and for the next few months, Sprite will be taking the show on the road where they will literally be refreshing South Africa with never seen before misting umbrellas. 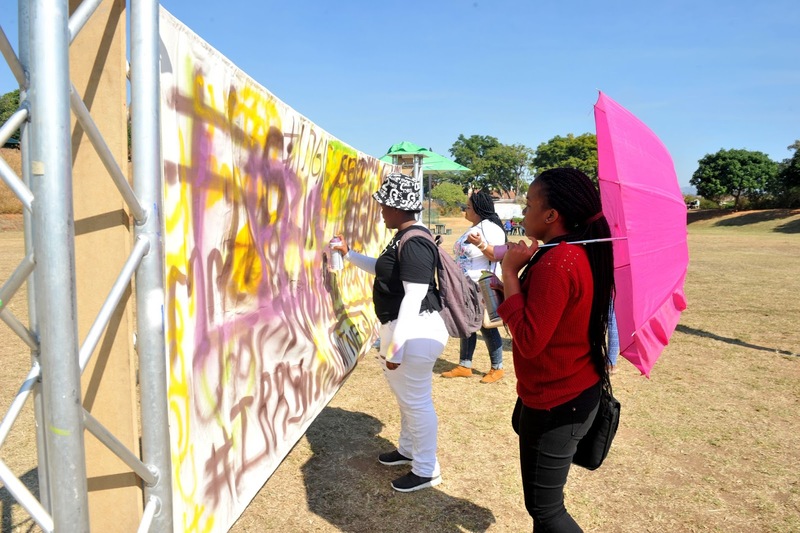 As part of the activation, the youth also have an opportunity to explore self-expression through its latest brainchild ‘15 Seconds of Refreshing Truth’. 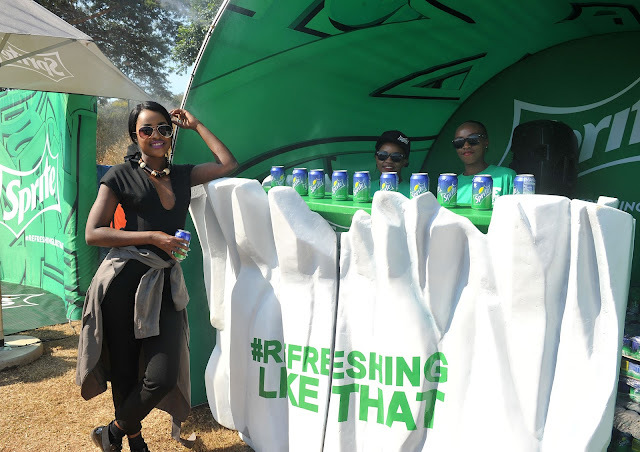 From mid-April until the end of May 2016, Sprite will be visiting various universities and hot spots around the country, engaging with their fans through an exciting nationwide roadshow. 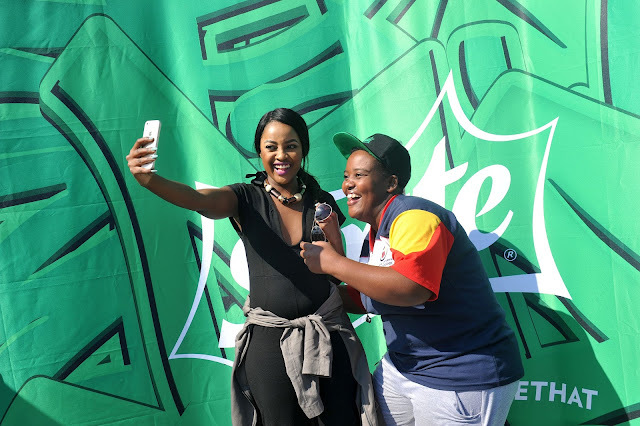 As part of the campaign, Sprite made another pit stop at Nelspruit’s TUT campus on Tuesday 24th May 2016. Students had the opportunity to share their refreshing truth with the Sprite team, students also had the opportunity to shoot their refreshing truth videos with the assistance of the Sprite Team to share on their social media. 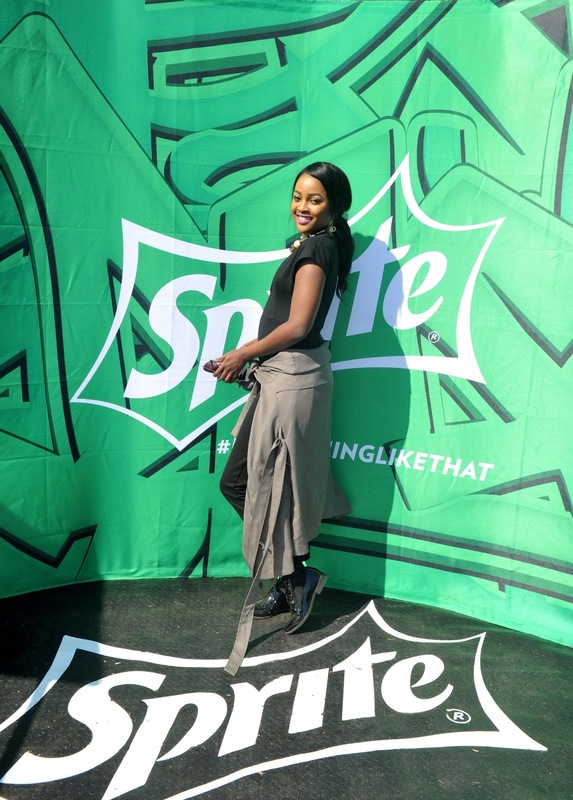 Sprite invited special guest and influencer E-tv Umlilo Actress Omuhle Gela who had this to say “Nelspruit TUT presents a rare scenery, it is quiet relaxed and easy going. Sprite believes in South Africa’s youth and wants to cultivate their Talents, and 15 seconds of refreshing truth campaign allows that, Sprite wants to prompt youth to be more expressive with their Talents through this campaign, what better way to expose the rest of South Africa”. Sprite will be heading to The Limpopo University (Turfloop) on Friday 27th May 2016 alongside Mzansi Magic’s “Greed and Desires” actor Thato Molamu, better known for his role as Nicholas Nomvete of SABC 1 Generations. With awesome Sprite prizes up for grabs, make sure you are there to voice out your refreshing truth. Step up and join this initiative as Sprite starts a trend that refreshes, inspires and promotes free thinking. Sprite is my favorite drink which I order every-time I go to some restaurant or just gone sightseeing in the lovely South Africa. Join the conversation and share your own refreshing truth using #RefreshingLikeThat. Everyone has that one technophobe friend – the one who knows the city through their own eyes, and goes places asking directions – but when the time comes for you to figure out a new place to hang out in, has a perfect option for you just around the corner. You didn’t know about this coffee shop, or restaurant, or theater, because Google Maps or Apple maps did not have it in their database. What if we told you that there is now a way you can stay ahead of your rustic friend? An website developed by an Indian startup Venture, Zofind isn’t exactly a novel ground-breaking technology or a billion-dollar idea. Rather, it is a venture that takes an already existing idea and projects it toward an audience that said idea had hitherto overlooked. While PVR Saket or Regal would be mentioned in Google Maps, would every local theater hall be also there? We imagine not! With Zofind, you’ll find not only the big guns, but also the small businesses that are in Delhi. So far, being a recent Start-up venture, ZoFind has only covered the capital of India, Delhi. Delhi is one of the largest cities in the world and has no end to attractions in it. With all the recent hype about Make in India, it is kind of sad that when it comes to entertainment, we inevitably turn to large corporations with tremendous western influence while neglecting the small businesses that serve the country from a very grass-root level. Our hope is that with a small but effective website such as ZoFind, you’ll be able to get into your attention span numerous small businesses that’ll change the way you look at the city and give the rustic life a chance. website developer Mohit Bardia aided by his team have come up with an extensive and elaborate framework of hotels, parks, restaurants, coffee shops, movie theatres and what not around the city of Delhi. You can access them from their website which will soon be available in and around the android marketplace. The website will be targeted, as stated earlier, solely at one city for now, but the developers hope that following their success, they’ll increase the outreach of the website to span other cities as well. Sometimes something happens around your world which makes you believe in humanity that it can really bring about the necessary change in saving the true human nature and the world we live in. Community member Flora Ndadza and her family, of Cambell just outside of Musina, were instrumental in saving the life of a female ground-hornbill caught in a snare. They managed to free her and knowing she was an important bird they kept her in a cage and tried to feed her mice and grasshoppers they had caught. She was however too stressed and badly wounded to eat but was spotted by a local farmer who had come to buy pigs. 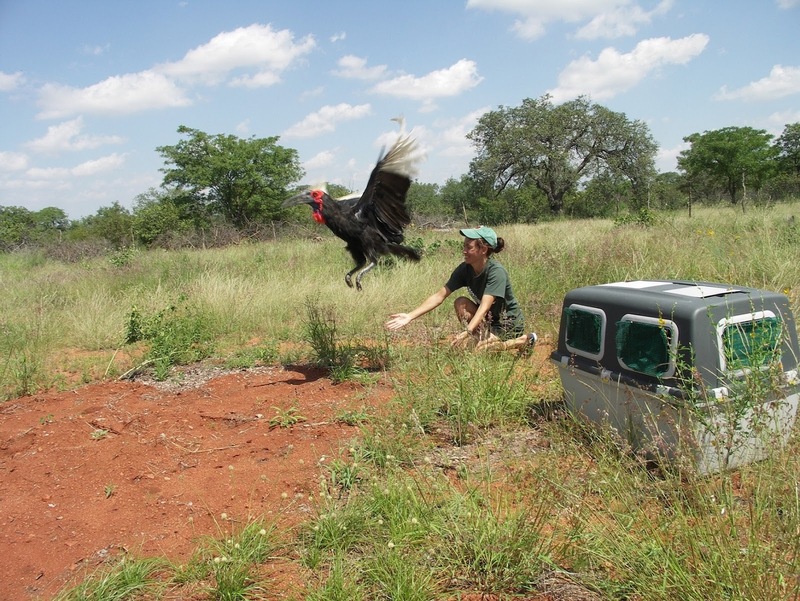 He got in touch with the Mabula Ground Hornbill Project who have been working to protect the species in the Limpopo River Valley since 2000. 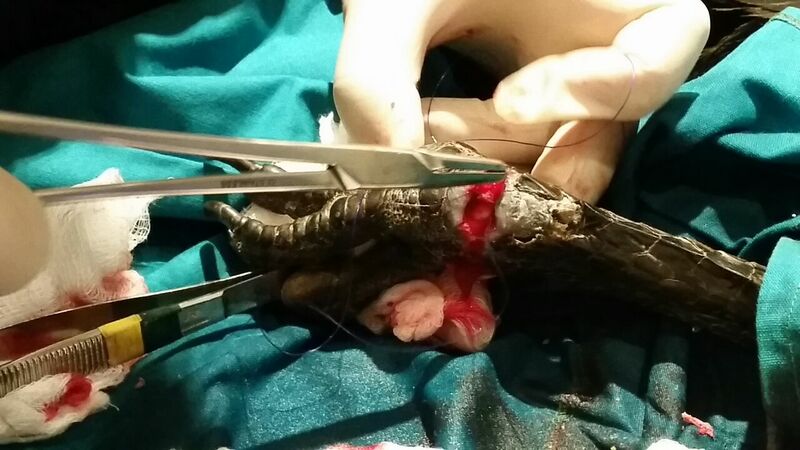 They, together with Leon de Jager, head of the Limpopo provincial conservation agency, were able to rush her through to Montecasino Bird Gardens where Dr Katja Koeppel was able to successfully operate. Two weeks later, thanks to the care from the team at Montecasino Bird Gardens she had healed well enough to be returned to the wild. Both Gauteng and Limpopo conservation officials were also able to expedite the permits required to move her back before the stress of captivity became an issue. This was a massive collaborative effort to keep a female ground-hornbill safe so that she can return to the wild to do what is so desperately needed by this Endangered species – to be able to rear another generation. Direct from London and exclusively at Joburg Theatre, FOREVER JACKSON is set to delight Michael Jackson fans in Joburg. The show will run on The Mandela stage from June 1st to June 19th 2016. Artist and producer Robin Parsons pays true homage to the late great King Of Pop. Singing 100% live lead vocal, his voice replicates the distinctive tones of Jackson – you could be forgiven for believing he mimes! 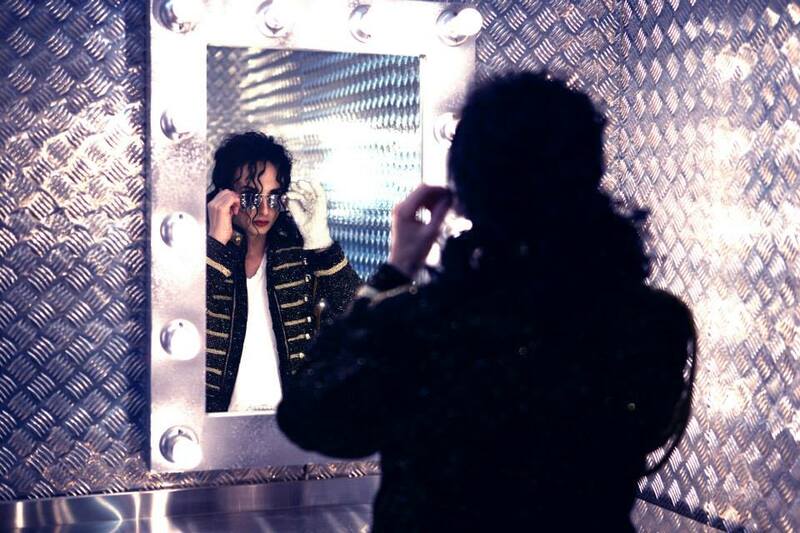 His dancing mirrors the legend in every detail, step for step right down to the smallest of mannerisms and his look (created through a three hour process using ONLY theatrical make-up) is the exact image of MJ. He has spent the past 17 years studying Michael Jackson in meticulous detail to produce the closest complete likeness currently performing today. Robin has been a long time fan and learnt to replicate Michael's abilities through a love of performing. His dedication paid off in a big way when he got to live a dream and performed for Michael Jackson in 2003 at his 45th Birthday show at the Orpheum Theatre in L.A....an honour only a very select few have experienced! FOREVER JACKSON features electrifying choreography, superb special effects and includes an extensive catalogue of hits – from the Jackson 5’s Can You Feel It to solo pieces such as Billie Jean, Bad, Thriller, Beat It, Man In The Mirror, Smooth Criminal and many more. 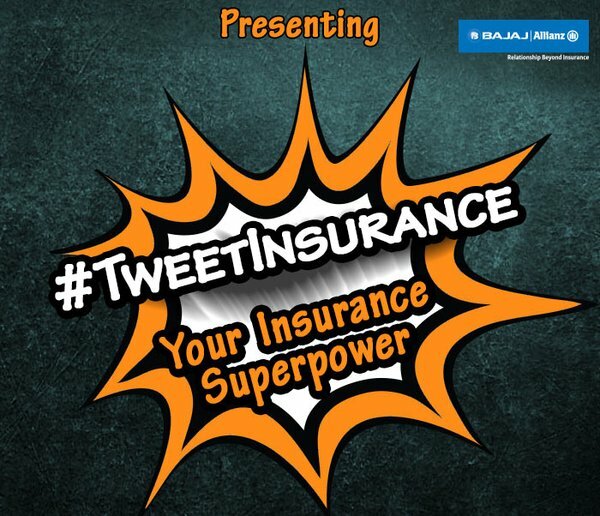 Bajaj Allianz General Insurance has launched, industry’s first Twitter based insurance platform called #TweetInsurance. In line with the company’s focus on harnessing the power of digital technology to provide hassle-free customer experience, this first-of-its-kind innovation promises customer centricity and services like never before. This innovative platform aims to offer convenience to company’s customers and non-customers alike in getting insurance information and services instantly by simply sending a tweet at the Bajaj Allianz Twitter handle with relevant hashtags. Bajaj Allianz General Insurance is a joint venture between Allianz SE, the world’s leading insurer, and Bajaj Finserv Limited. Allianz SE is a leading insurance conglomerate globally and one of the largest asset managers in the world. Bajaj Allianz General Insurance is one of the leading private general insurance companies in India. The Company offers various general insurance products like motor insurance, home insurance, health insurance, travel insurance and also unique insurance plans such as wedding insurance, event Insurance, film insurance. Bajaj Allianz has received iAAA rating, from ICRA Limited, an associate of Moody's Investors Service for ten consecutive years. This rating indicates highest claims paying ability and a fundamentally strong position. The Company began its operations in 2001 and today has a presence in over 200 towns and cities in India. The Company has been constantly expanding its operations to be close to its customers. On 12th of May 2016, Aditya Phatak, Strategy lead of HoldingWilley launched a cricket app which will, in course of time change the way people surf scores in their mobile phones. ‘HW Cricket’ as they call it, is defined on four pillars namely – Fast, Lite, Innovative and Shareable. With so many cricket apps already in the play store, what and how will this app make a difference? Everything we do, we believe in challenging the conventional, we believe in thinking differently. The way we challenge the conventional is by making something which is original, innovative and precisely what a user needs. We just happened to make a great cricket app. Wanna try it? For cricket fans, we believe live scores matter way more than anything else while s/he surfs a cricket app. They are ecstatic even more if scores reach them easy and as fast as possible. At the same time, we believe a user is quite perceptive to data usage at all times while surfing apps. We tried to solve this. HW Cricket is an ‘only scores cricket app’. We believe in being clean, easy to access, innovative and simple. Therefore no ­- so many sections, so many buttons, so many links, mindless commentary and a distasteful design. Fast, Lite, Simple, Innovative and easily Shareable. • Live cricket score updates and fast ball by ball scores. • Current Matches page - To help you follow all live matches in one place. • Upcoming matches - what's coming up next? • Results of recent matches. • Sharing of cricket scores - Give score updates to your friends easily via Whatsapp, Twitter , Facebook, Google hangout, Hike, telegram, SMS, Gmail/email etc. • These tools provide win probability, match outcome, team performance measures and batting difficulty. • Tool graphics easy to understand and share. Holdingwilley.com is a cricket website named after Brian Johnston's famous quote during an England vs West Indies Test Match at The Oval in 1976 which said "The bowler’s Holding, the batsman's Willey". It offers a special experience of enjoying live scores with unique game analysis tools like COW, Form Factor, Dominance etc., tongue-in-cheek cartoons, some wacky tweets & passionate articles from writers across the world. HoldingWilley has always been 'By the fans, for the fans' cricket website and with this app, it tries to give a cricket fan what s/he really deserves!